When it comes to erecting a garden fence, there are a number of things to take into consideration. One of the most important is the type of fence post you choose. Typically, the choice will come down to a wooden post or a concrete one. Here’s why we recommend the concrete option. The number one reason people choose concrete over wood is its longevity. Unlike timber, concrete will not rot, decay or split. A longer lasting structure, concrete more than pays for itself over time. Concrete does not need to be regularly treated, or in fact, require any ongoing maintenance to remain effective. Unlike wood, concrete fence posts can last for decades. When the concrete post is in place, installing the fence panel is easy. Simply slot the panel between the beams and you’re done. There’s no need for nails, brackets or other fixings. Concrete posts are especially effective in gardens that are exposed to high winds, lots of water or spray from the sea. In these circumstances, wooden posts will deteriorate more quickly. For coastal or rural situations, concrete posts are almost certainly the way to go. 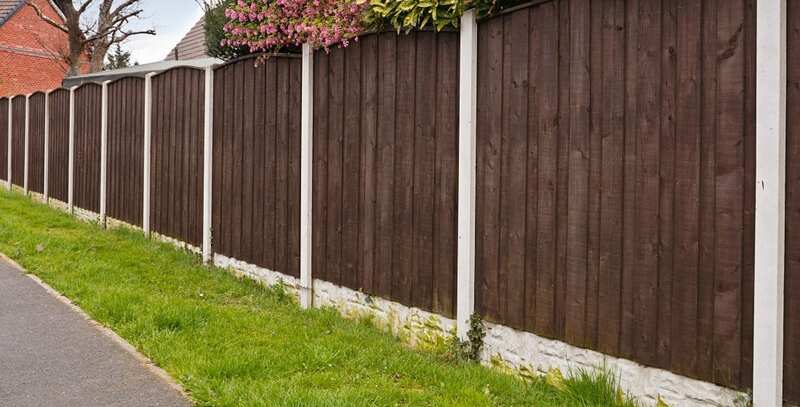 Concrete fence panels are more expensive than their wooden counterparts. However, it is true that you get what you pay for. 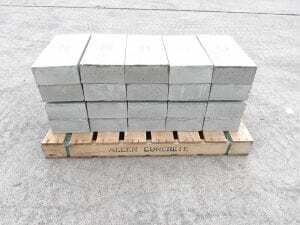 Longer lasting and better able to withstand extreme environments they are a more economical choice in the long term. 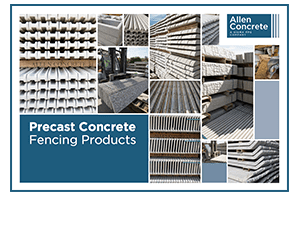 To find out more about our range of concrete fence posts, gravel boards and spurs contact us on 020 8687 2222 (Surrey branch) or 01933 276848 (Northants branch) or email sales@allenconcrete.co.uk.